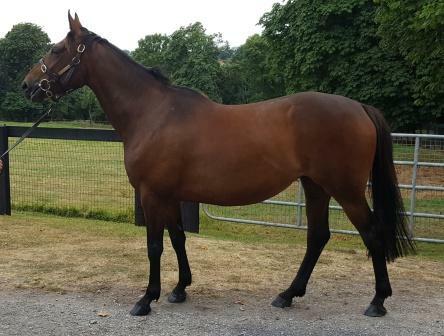 He is a well bred imposing Gelding, a 3 mile chaser and has run amazingly consistently over both hurdles and steeplechase fences winning well over £50k in the process. He has a workable Handicap Mark of 121 having won off 127 and Nick Williams, who has always trained him, is confident he can continue to do well for us. He is a proper Winter horse who likes a bit of cut in the ground. Un-raced Filly. 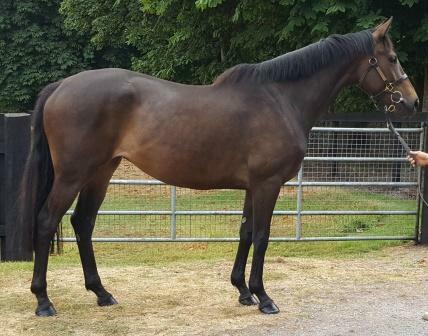 A very well bred bay filly by Doyen out of a winning mare Hats And Heels who, trained by Willie Mullins, won twice from only four races before suffering an injury which foreshortened a potentially glittering career. White Hart Lady has impressed in all her work to date and Harry Fry believes she has a great future ahead of her and has inherited all her mother’s potential. 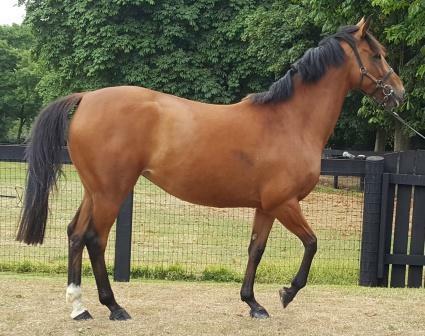 A very well bred bay filly by the high class proven stallion Milan out of Mhuire Na Gale. Her mother has produced Wild West Wind trained by Tom George and Redhotfillypeppers, bought for 200k euros trained by Willie Mullins. 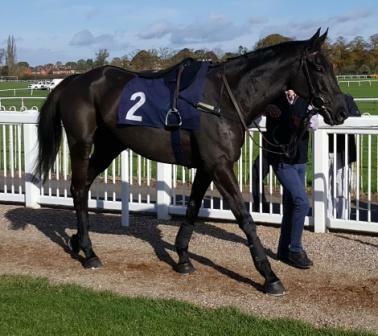 Both are winners and Whitehotchillifili has not disappointed as she won easily on her debut in a classy bumper at Southwell in December 2018, beating strong opposition. On that occasion she was ridden by Harry Fry’s Assistant Trainer, Mike Legg, who gave her a perfect ride. She finished 2nd in an EBF Qualifying Bumper at Warwick in February, carrying a 7lb penalty and was only just beaten into 2nd place. She runs in the EBF Final at Sandown on Saturday 9th March. She is an attractive and very well bred 3-y-o bay filly and is one of top stallion Presenting’s last daughters as he died during 2017. She is Little Dil’s first foal and her two subsequent foals sold for 37,000€ and 50,000€. I bought her as a foal and it looks like I got a bargain! Little Dil is a half sister to Whatyouthink (also by Presenting) who was a winner of 8 races and £177k including a 3rd place in the Irish Grand National and achieved a handicap rating of 152. Her other half brother, Whodoyouthink won five races and £73k and achieved a handicap rating of 142. If our filly follows in their footsteps we will all be very happy. She has been in pre-training with Denis for the past four months and Denis is very sweet on her. She has taken well to her training and Denis says she is a lovely mover with a touch of class about her. She will also be turned out in the paddocks next week for the summer. We have decided to send this filly to our new trainer, Jamie Snowden, who has a particularly fine record with fillies (don’t tell his wife!) He is very much looking forward to training her and being part of the Chasing Gold team.